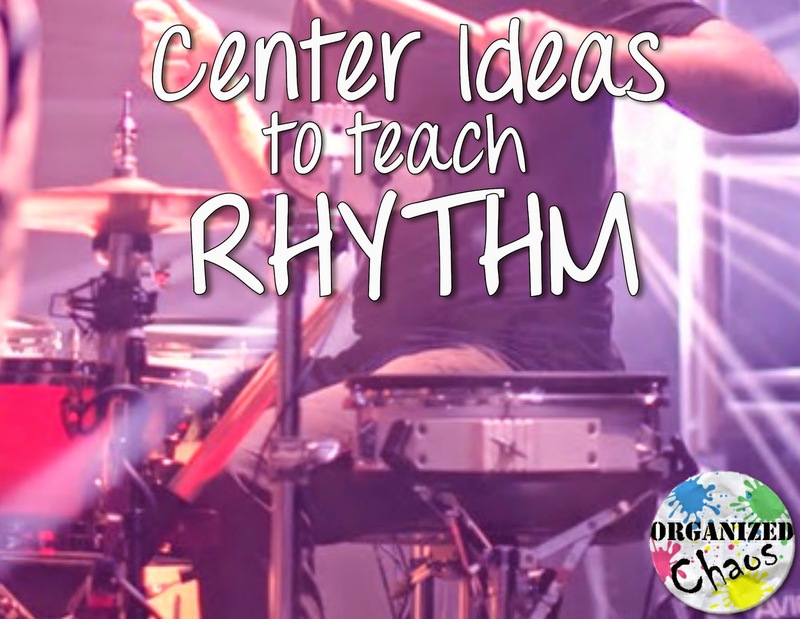 In the next few weeks I want to share some of my favorite ways to teach rhythm. Today, I'll be focusing on ideas that I use in small groups or centers. I have had a few times this year when a class, after going through the usual lessons to learn a new rhythm, just isn't getting it. I have spent an entire class period working in centers to reinforce that rhythm with the whole class. 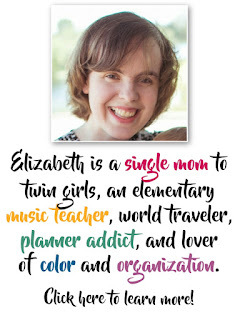 Centers are great for this kind of situation because students get to practice the skill over and over again without getting bored, and they are able to work on it in a variety of learning modalities to fit their learning styles. My students love this because it works like a video game where players can "unlock" levels by getting a high enough score. Basically students tap the green button with the rhythm on the screen to "play along" with the music (so they have to stay on the beat). Word of caution: the notes turn green if you play it correctly, which looks initially like it is telling you to follow along and play that note. Make sure to explain to students that the green notes are the ones they already played so that they don't get lost! There is a free and paid version. I've been using the free one and it is completely adequate. Click on the picture to check it out! This is another very popular activity. Basically the sticks with rhythms on them are in a container, writing side down. Players pull out a stick and clap the rhythm. If they are correct, they keep it. If not, they put it back in. Some sticks say "kaboom"- if they get that one, all the sticks go back in the container (except the kaboom stick). The player with the most sticks at the end of the game wins. This is great because you can really focus on a specific rhythm. I have several sets of popsicle sticks each with a different rhythm focus (held together with rubber bands) in the container so I can quickly pull out the ones I want. I also use this for teaching note letter names- you can find that post, which also has a link to my original source for this idea, here. This is an activity that you can quickly pull out with minimal setup- all you need is a set of sturdy cups. 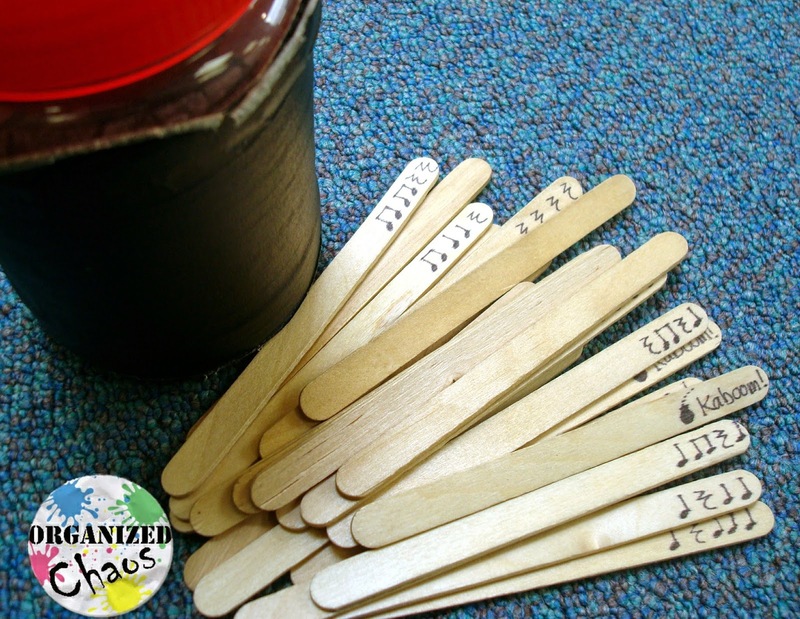 Give each student a cup and ask them to come up with a pattern, similar to the "cup song", incorporating one rhythm element that you want to practice. You may want to give a few examples, either through live demonstration, or by showing some examples on YouTube, to get them started, but my students have been pretty good at coming up with their own ideas without a lot of prompting. 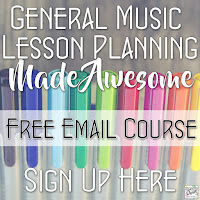 I adapted this idea from this post from Teach Piano Today. Grab some paint chips from your local hardware store and laminate them. 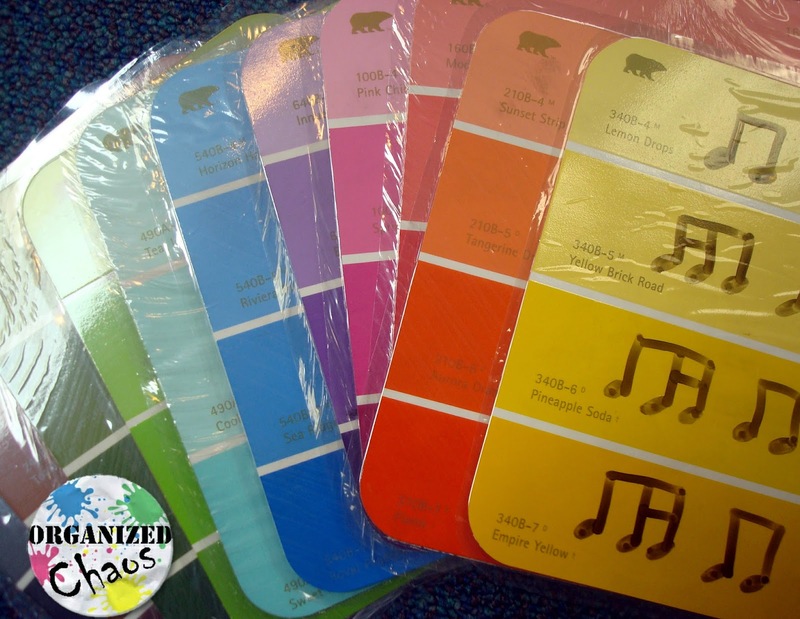 Give students a dry erase marker and have them notate the names of the paint colors in a 2-beat rhythm. So, for example, "Pineapple Soda" becomes 1-&-a-2-& (or ti-tika ti-ti). Take a quick look at each of the paint colors before you use them in class though- you don't want anything provocative, too difficult to pronounce, or the wrong length. This is fun because the color names are usually pretty funny and the students have saying them over and over again while figuring out the rhythm. What are some of your favorite small group activities to teach rhythm? I'd love to hear your ideas in the comments! How fun. Our family loves to play around on our cups. I'm definitely going to check out the rhythm cat game, I think it could really help my 1st grader. It's a fun little game that really motivates a lot of my students! Let me know how it goes. I love this post! I also use Rhythm Cat - such a fun and very good game! I have seen the paint chips but haven't tried them yet! :) Thanks for posting! The paint chips are a fun change of pace. The color names are so random, we always get a kick out of them!